Have you ever wondered when did the movement Movember, a month where men grow their beards, begun and what’s its true meaning? These past few years more and more people join this movement and let their beards grow out and show them with pride. The sad part is, as soon as November passes they cut them and have got no clue why they let them grow in the first place. The true meaning of Movember is slowly being forgotten and the movement is becoming more and more just trend, or a fashion statement. 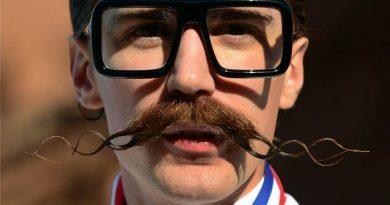 When did Movember begun and what’s its lost meaning? In 1999, a group of young men from Australia came up with the term Movember, a combination of Mustache and November and the idea of growing mustaches for charity throughout the month of November. Later, in 2004 another group of young men decided to borrow this idea and add to it: Raising awareness for cancer and depression in men. This idea soon spread throughout the world, but with that the meaning started to fade. Lately, it’s popular to have a beard so many let their beards grow out even when it’s not November, so it is not a surprise that lot’s of people use this month as an excuse to grow their beards just to see how they look and like them selves. I would like to mention again that it’s “Mo”vember, not “Be”vember. Grow your Mo. Even though there is the movement behind No-Shave November where we are encouraged to let our body hair grow completely. Yes ladies, this movement does not exclude you! The goal of No-Shave November is to grow awareness by embracing our hair, which many cancer patients lose, and letting it grow wild and free. On first thought, this might sound disgusting and you might receive the occasional odd look, but you might also get asked about your new look. This is the moment where you can explain about the true meaning and inform people about the dangers of cancer and other illnesses (both mental and physical). This Movember, grow your moustache for men’s health. Raise the awarenes! Join or organize and hold an event where you can speak about early cancer detection and the importance of our health. 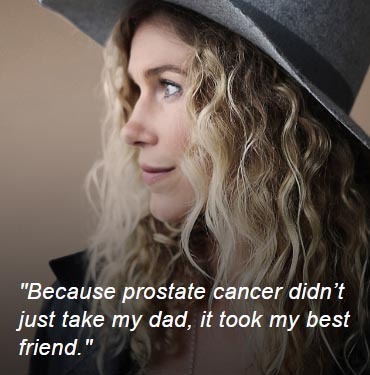 Remember, Movember is not only about raising awareness about cancer, but for the overall men’s health, both mentally and physically. Organize a sport or another physical activity to get those close to you moving! For the brave, shave your current beard but leave your mustache! 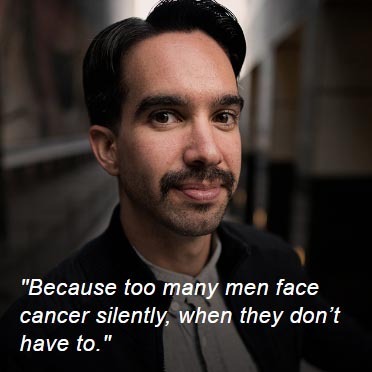 Most importantly: Speak out and inform the rest of the true meaning behind this movement – MEN’S HEALTH! 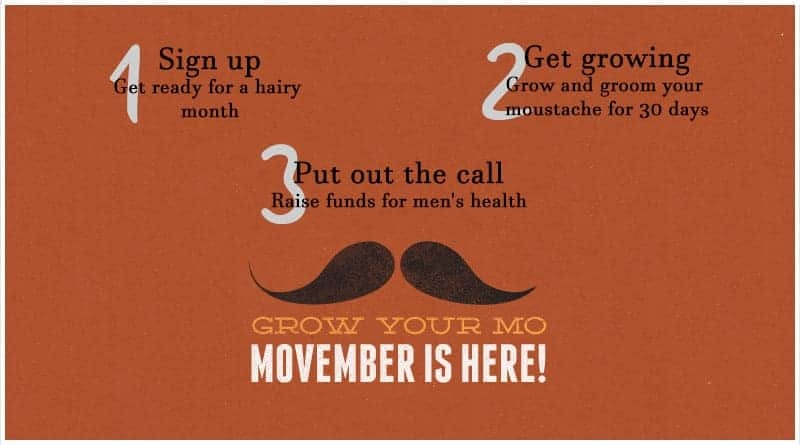 Now, go out there grow your mo and be active, your health is very important!